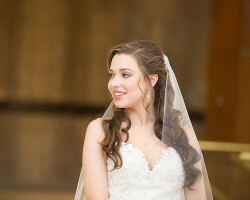 For a makeup artist in Fort Worth, TX there is no better option than Samantha Landis. She has an impressive list of clients that she has provided all kinds of beauty services for. From permanent makeup options to transforming hairstyles this expert can do it all. When it comes to your wedding you should only turn to Samantha, as she will be able to apply all of her knowledge and skills and achieve the exact look that you have always dreamed of having. At Something You there is a team of makeup artists that really know how to bring out everyone’s best side. Every member of the team is hand-selected for their skills and is carefully trained to always deliver on the best results. Getting ready for your wedding doesn’t have to be stressful when you have these professionals offering their services. According to the praise filled reviews you will be blown away by the end look. Their beauty technicians are also some of the friendliest in Texas, so you will love every second of the experience. The team at The Makeup Zone is made up of Leslie Hernandez and Daniela Bell. Each of these professionals have had several years of experience and over this time have built up a reputation for being some of the best in Fort Worth and the surrounding area. By putting your wedding day makeup into the hands of these experts you will be transformed into a stunning and blushing bride. Not only are these makeup artists talented but they take great pride in their work, which can be seen in the results of each of their makeovers. As soon as you start communicating with Natalia Issa you will notice the difference between her service and that offered by other Fort Worth makeup artists. Not only is this professional much more talented but Natalia has a true passion for what she does. Every moment this artist is watching people and studying faces to learn more on how to create the best looks for brides throughout the country. Natalia is also able to speak Spanish, Portuguese and Italian fluently, which makes her a great choice for destination couples. What could be better than a wedding hair and makeup expert that also offers some of the most affordable prices in Fort Worth? The team at Hair & Makeup In Motion is able to offer the highest quality of services at rates that will fit into any budget. This means that you will be able to look your absolute best on your wedding day and not have to worry about anything else. These bridal makeup beauticians are able to create any style you are looking for and make sure you are always comfortable.